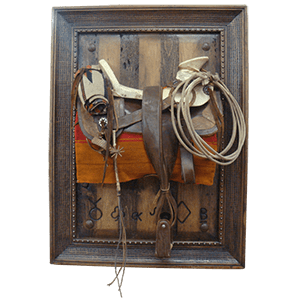 Our saddle frames are an innovative and creative way for you to display your saddle, and still share it with someone you love. 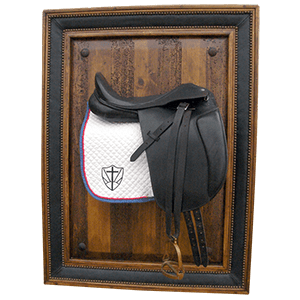 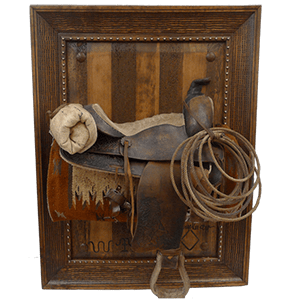 We literally cut the saddle in half and one half of the saddle is mounted on a handcrafted wood frame, and the other half of the saddle is mounted on another handcrafted wood frame. 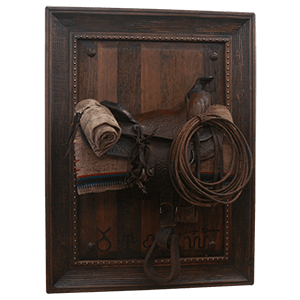 You can then mount the frame with saddle to the wall as you would with any picture frame. 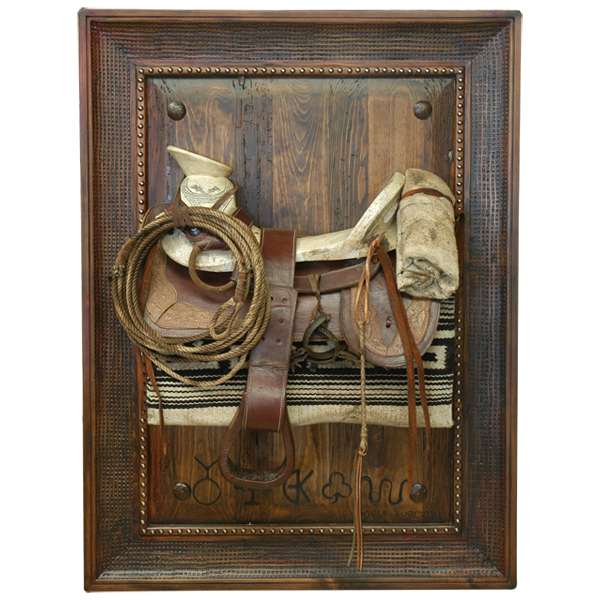 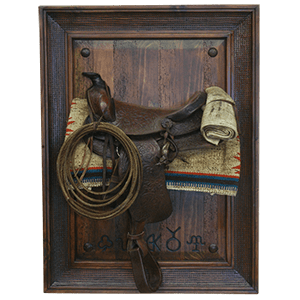 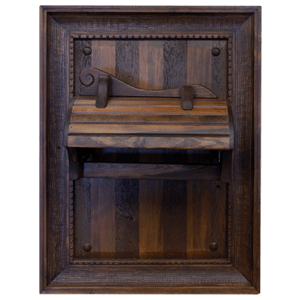 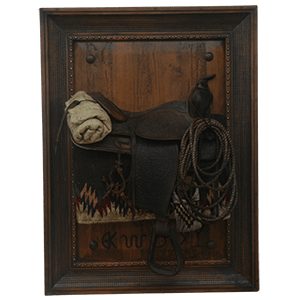 This accent piece will look great with your Western décor, and we promise it will be the center of attention. 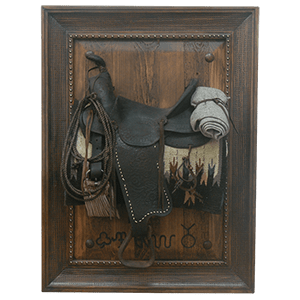 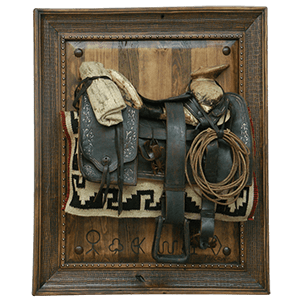 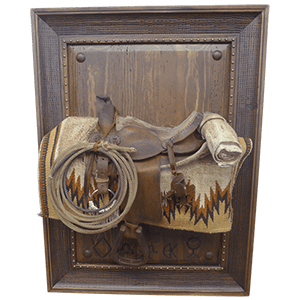 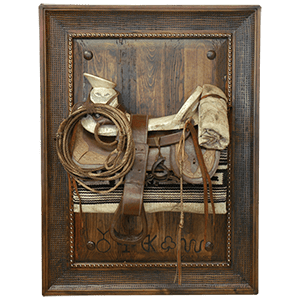 Whether it was your saddle, or your grandfather’s saddle, you and another member of your family can both share this unique saddle presentation. 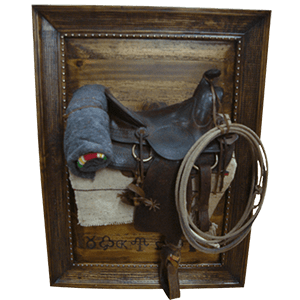 The wood frame is handcrafted with the best wood available, and can be designed in many different styles. 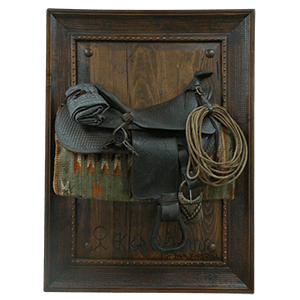 We can decorate the frame with hand forged iron conchos, and we also have many intricate hand hammered and hand tooled copper decorative designs available. 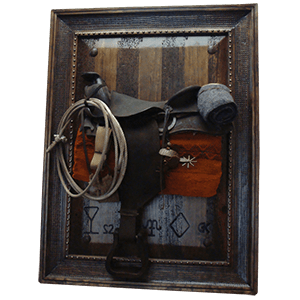 It is 100% customizable.